RICE LAKE, WI (May 25) – Sometimes in certain sports it becomes a game of inches. Such was the case on Saturday night May 25 at the Rice Lake Speedway during the Upper Midwest Sprintcar Series (UMSS) winged sprint car feature race. It became a race of inches in the closest finish in UMSS history. Brooke Tatnell of Forest Lake, Minnesota narrowly edged past 2010 UMSS Champion Cody Hahn in a photo finish at the line. With the official finish in doubt immediately after the checkers flew, UMSS series officials had to check the video replay. Mark Meeks of Meeks Video, the official videographer of the UMSS was on hand, and his replay became the center of attention in order to determine the winning car at the finish line which was the flagstand. It was an incredible feature race, especially over the last half of the race. The best field of UMSS sprints ever assembled at the Rice Lake Speedway saw a strong contingent of 22 cars sign in, and all of them were able to start the feature. At the end, a smiling Brooke Tatnell stated, "At the flagstand I had Cody by about a half a wheel; three feet up the track he had me by a half a wheel." Tatnell, who had led the entire distance from his outside front row starting spot, was under serious pressure from both Scotty Thiel and Hahn in the closing laps. Earlier in the day on his Facebook page, Tatnell indicated he was heading to Rice Lake with his "Tat's Chariot #25" sprint car after Knoxville Raceway rained out. He was hoping for improved luck, as both his wife Amy and his young daughter Emma were after him to change his recent misfortune and win a race. Daughter Emma's reason was rather important, as she wanted a new Barbie Doll. Mission accomplished by the smallest of margins! 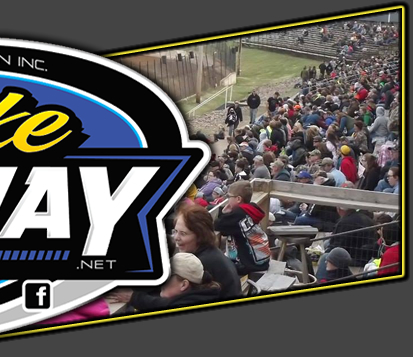 With a large holiday weekend crowd on hand and the pits filled with race cars, the UMSS was poised to put on a show that many fans will not soon forget. The standard double round of qualifying races were run, as Tatnell, Thiel, and Lee Grosz topped the heats while Rick Kobs picked up his first sprint car win in Challenge Race #1 and Kurt Davis raced to the front in Challenge Race #2. Thiel, who was looking for another weekend sweep of UMSS races like he accomplished last August, was the high point driver after the two rounds. Thiel drew the number four pill for the feature race invert. This put Jennifer Eriksen and Tatnell on the front row. Amazingly Eriksen was able to race after a hard crash the night before at St. Croix Valley Raceway, and she did very well to put herself in position to earn a great starting spot. Tatnell blasted into the early lead, as Thiel quickly moved to second. The first caution blinked on with seven laps scored after contact between Jerry Richert Jr. and Eriksen results in a flat tire on her car. Eriksen dropped out of the race. Three laps later at the halfway mark the final caution flew when Kevin Nickel and rookie Gunner Cummings tangled on the back stretch. Nickel retired from the race with a flat tire while Cummings restarted at the tail. The race had been somewhat interesting up to this point, but it was about to get real interesting over the course of the final 10 laps. A few laps after the restart, Thiel began pressuring Tatnell. Suddenly Hahn was flying on the bottom of the track and reeling in the leaders. Soon it was a three car battle. As the three leaders began to work lapped traffic in the late stages of the race, it quickly became apparent that any one of them could emerge victorious. Several times Hahn pulled even with Tatnell while Thiel poked his nose into the mix. With a couple laps remaining, it looked like Hahn was going to race to the lead but Sye Anderson slowed and worked his way to the bottom of the track in order to head to the infield. This caused both Hahn and Thiel to alter their lines just a bit. Hahn was right back at Tatnell coming to the white flag. The race off of turn four on the final lap saw Hahn take the lead in the bottom lane, but the momentum Tatnell gained off the high side was just enough to propel him to a slim victory. For Tatnell, it was his 19th career UMSS feature win and no doubt one of the closest of his storied racing career. Rounding out the top five finishers in the feature was Hahn, Thiel, Grosz and 10th starter Chris Graf. Davis, Richert, Kobs, 2009 UMSS Champion Leigh Thomas, and Jason Tostenson completed the top ten. Nineteen cars finished the race with the top five cars separated by no more than a half of a straightaway at the finish. 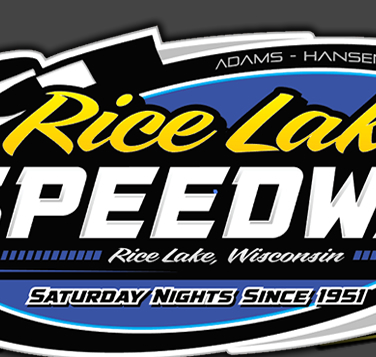 Race fans who were on hand at the Rice Lake Speedway certainly witnessed an outstanding UMSS feature race during the sixth appearance at the track since the series was founded in 2009. More great action is in store for the UMSS winged sprints, and fans can follow the 2013 season on our website at www.umsprints.com or become a friend of the UMSS on Facebook. After a weekend off, the UMSS is back in action on June 7 at the Princeton Speedway for the 12th Annual Billy Anderson Memorial paying $1,200 to win followed the next night by their only 2013 appearance at the Ogilvie Raceway for the "Big O Showdown" event with $1,000 to win thanks to some sponsorship both nights from GRP Motorsports. 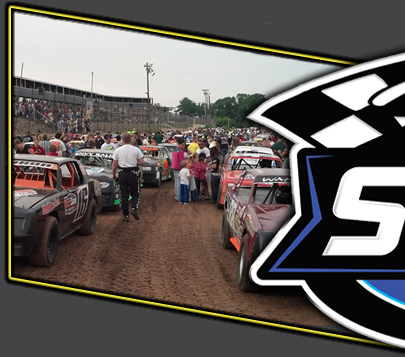 As evidenced by two great opening weekend shows, be sure and catch the thrills and excitement of UMSS winged sprint car racing at a track in your area. Alpha Apparel & Promotions Ultimate Sprint Race #1 (8 laps): 25 Brooke Tatnell, 23 Cody Hahn, 10x Jenni Eriksen, B1ST Tony Norem, 5 Anna Kouba, 48 Neil Matuska, 34TW Gunner Cummings, 10 Kevin Nickel. Meeks Video Ultimate Sprint Race #2 (7 laps): 64 Scotty Thiel, 20G Chris Graf, 63 Jerry Richert Jr, 37 Sye Anderson, 6k Kurt Davis, 34 Rick Kobs, 5 Cam Schaefer. Driverwebsites.com Ultimate Sprint Race #3 (7 laps): 4J Lee Grosz, 36 Jason Tostenson, 7 Dave Becker, 55 Joseph Kouba, 29 Leigh Thomas, 20 Jordan Wilmes, 9 Jared Goerges. Mastell Brothers Trailer Service Challenge Race #1 (11 laps): Kobs, Anderson, Eriksen, Tatnell, A Kouba, Graf, Grosz, Goerges, Nickel, Thomas DNF, Becker DNS. Mastell Brothers Trailer Service Challenge Race #2 (11 laps): Davis, Thiel, Hahn, Richert, Wilmes, J Kouba, Matuska, Cummings, Tostenson, Schafer, Norem. GRP Motorsports UMSS Feature (20 laps): Tatnell, Hahn, Thiel, Grosz, Graf, Davis, Richert, Kobs, Thomas, Tostenson, Goerges, Norem, J Kouba, Schafer, A Kouba, Matuska, Wilmes, Becker, Cummings, Anderson DNF, Nickel DNF, Eriksen DNF.